The cinematic landscape of Finnish writer-director Aki Kaursimäki is one of offbeat bleakness. In his early films, such as 1988's Ariel, the flatness of color matches the film's tone and deadpan, working-class characters. No matter what dreadful situation Kaursimäki's characters are experiencing in his universe, there is never a sense of romanticism, hipness or sadistic glee. Instead, there's an understated sense of humor coupled with an empathy reminiscent of Chekhov. 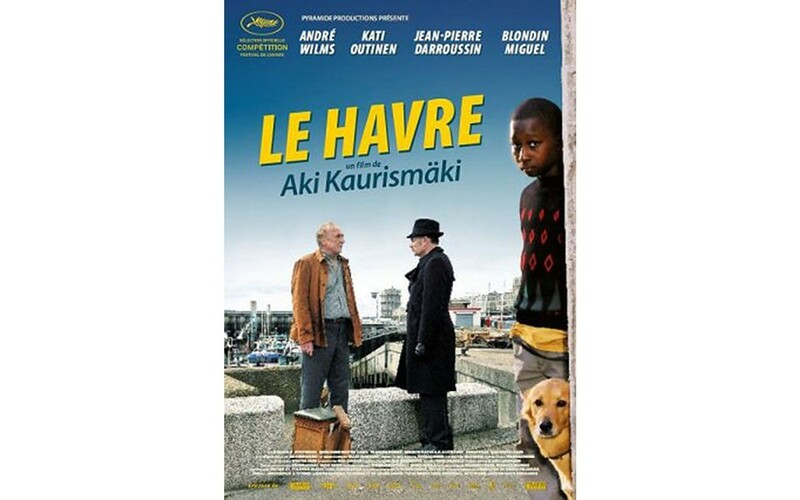 Kaursimäki's most recent full-length feature Le Havre, named for the northern French-Normandie port town where the film takes place, is his most humane work to date. It centers on an elderly Frenchman, Marcel Marx (played superbly by veteran French actor André Wilms), who shines shoes for a living. His modest but content life intersects with a young Gabonese refugee, Idrissa (portrayed wonderfully by Blondin Miguel), who is fleeing from local and federal authorities. Kaursimäki uses the current issues and narratives of immigration throughout Europe and a sense of a fading "Old World" to weave an ingenious tale. Le Havre is an old port city, simultaneously hosting a sense of permanency and a constant flow of transient existence. For Kaursimäki, it's a perfect setting. His characters have always lived on the fringes of contemporary life, yet are bound together in an unspoken community. By pulling together native French outsiders and immigrant characters, the Finnish director reveals how outdated social rituals and objects still function to create new myths and communities. Antiquated objects and rituals of the "Old World" are active throughout Le Havre, including a jukebox, rotary phones, neighborhood cafés and shops and reading aloud to one another. Idrissa, who finds himself alone in Marcel's room, discovers a Victrola turntable and plays the 78 rpm disc on it, which happens to be Blind Willie McTell's 1928 recording of "Statesboro Blues." We witness Idrissa's careful listening to this scratchy blues standard and see how it reflects the young character's own emotional situation. French film icon Jean-Pierre Léaud, star of French New Wave classics including Truffaut's masterpiece, The 400 Blows, is cast in a small role, as is Luce Vigo, daughter of cinema legend Jean Vigo. This offers a subtle, reverent homage to the language, art and lineage of French film. Cinematographer Timo Salminen fuses rich colors with a flat sheen to produce a hand-tinted postcard effect, as in a Douglas Sirk melodrama. Some critics have labeled the film fable-like, but it's mythology that Kaursimäki is interested in, one articulated, preserved and expressed by old-fashioned culture. And Le Havre wonderfully accomplishes just that -- in spades.